Walk, run, cycle, ski or snowboard with your friends even if you're on opposite sides of the world. 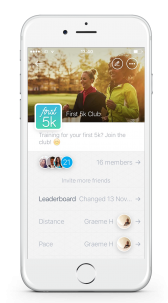 Racefully is the social fitness app connecting people in over 80 countries through real-time virtual races, fun activities, and tribes who share a common goal - to get more active more often. 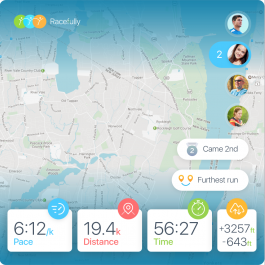 From a walk round the block to a marathon, Racefully’s live activity tracking technology is designed to help everyone achieve their goals through social support and friendly competition: Run with a friend in another city, cycle against your personal best, or achieve your goals together with a tribe of similar skiers. 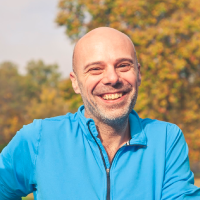 The inspiration for Racefully began with an ending - two, in fact- when cofounders, Chris Pointon and David Naylor, both found themselves without their running communities. For Chris, it was the move back to the UK from Boston. For David, his best running mate moving away. 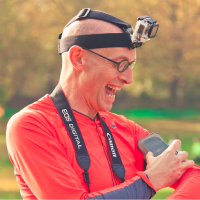 And so the idea for Racefully was born-- an app that lets you walk, run, cycle, ski or snowboard with friends even when you can’t be in the same place. Luckily, Chris and David found each other at the right time, and Racefully was founded. 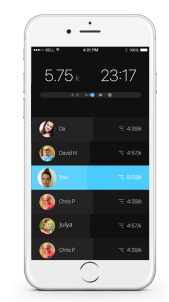 A year of development, tonnes of market research, and countless runs later, the Racefully app was officially launched in July, 2016.